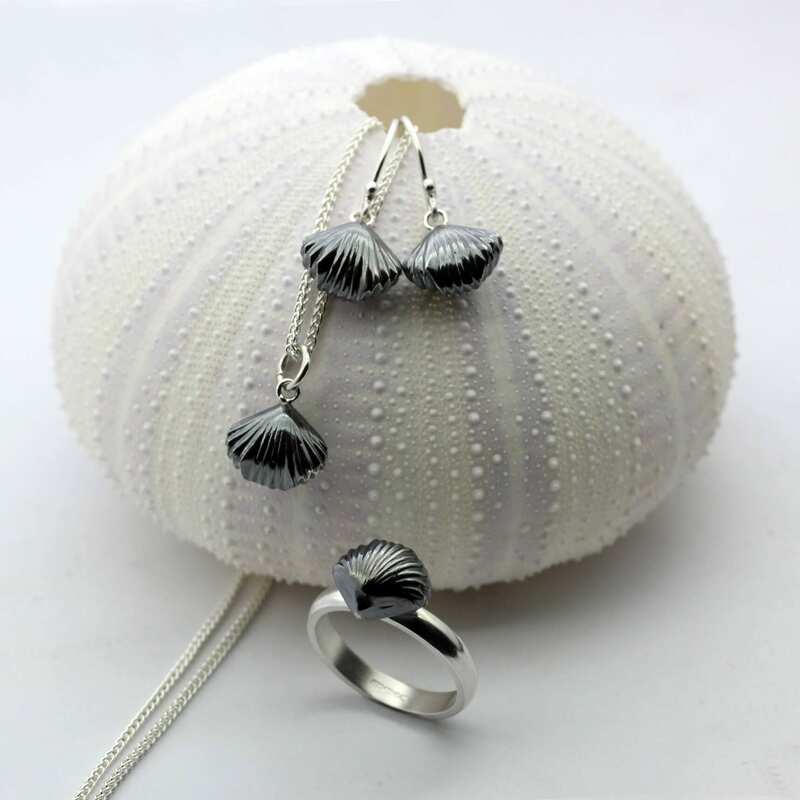 Inspired by natural forms and the beauty found on the local beaches of East Sussex, influencing this stunning and original solid Sterling Silver shell design by Julian Stephens. 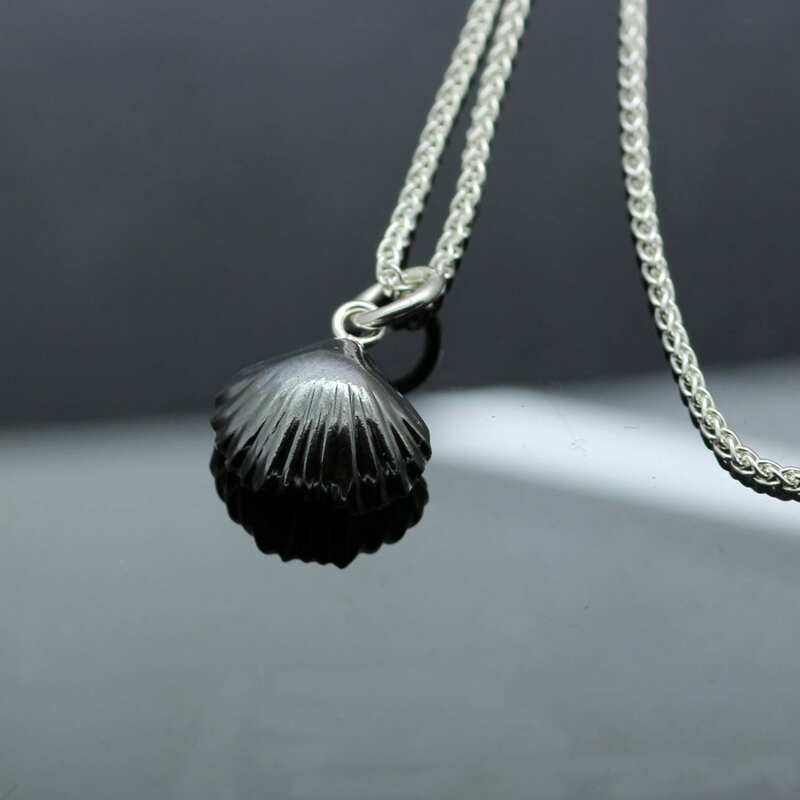 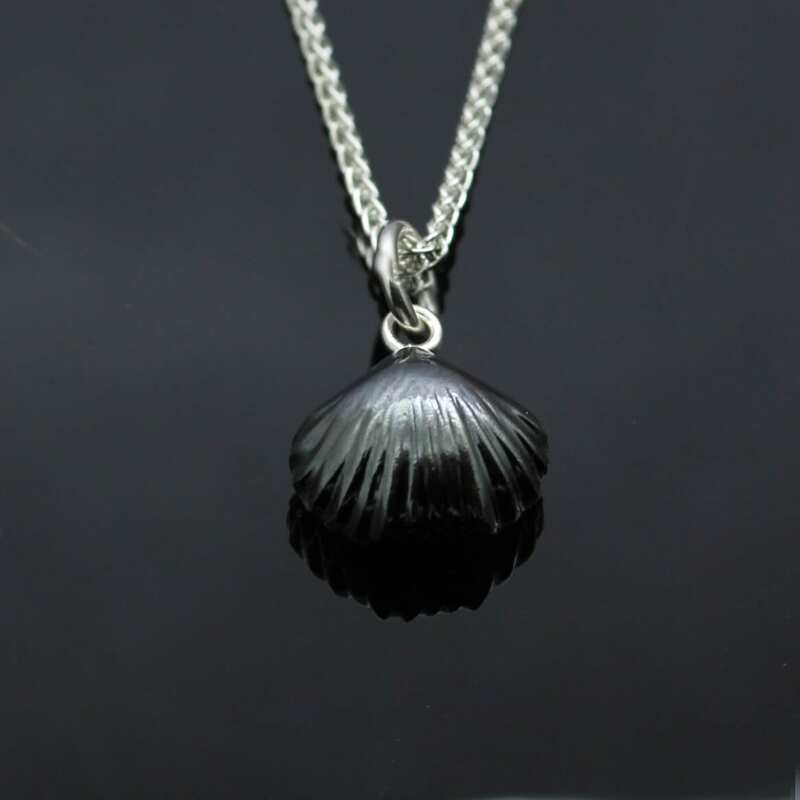 Using a found clam fossil, discovered by Julian on a nearby beach and carefully casting this piece to create a beautiful 3-D shell creation, made from solid Silver which has been delicately oxidised to create a darker surface to the polished silver and strung on an 18″ solid silver Spiga chain to create this elegant design. 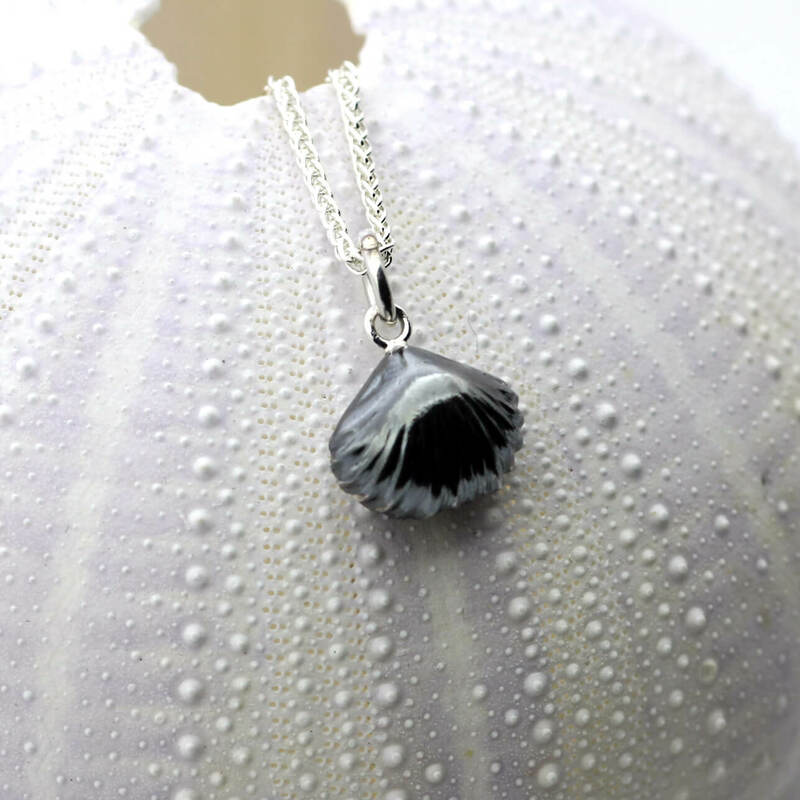 This lovely hand-crafted necklace can also be purchased as part of a set with matching cocktail rings & earrings also available to buy online through our website.